Small business groups, insurers, regulators and others worry that a complex Trump administration proposal to let companies offer workers tax-free accounts to buy individual-market health plans could cause mass confusion. Some groups also warn that the proposed rule would let employers reduce their health benefit costs by sending older and sicker employees into the Affordable Care Act individual markets, thereby driving up costs in those markets. At least one group cautioned that the rule likely would face a legal challenge due to conflict with ACA consumer protection requirements. The rule, proposed in October by the CMS, the Department of Labor, and the Internal Revenue Service, would allow employers of all sizes to offer employees health reimbursement accounts that could be used for the first time to buy insurance in the individual market. It would take effect Jan. 1, 2010. Public comments are due by Friday, with 217 comments submitted by Tuesday. The National Federation of Independent Business, which generally favors the rule and the administration's broader deregulatory initiatives, said that small businesses that want to offer workers an HRA integrated with an individual-market health plan would face a lot of complexity. "NFIB recommends that your departments plan to release… a publication that explains in plain English, step-by-step, how small businesses can establish, administer, and comply" with the rules," the group wrote in its comments. Heather Korbulic, executive director of Nevada's Silver State Health Insurance Exchange, wrote that "this proposal will result in considerable consumer confusion and require states and Exchanges to spend additional resources to educate consumers, help them evaluate their options, and reduce the risk that they would obtain—and ultimately have to pay back—subsidies for which they are later deemed ineligible." The proposal is part of the administration's wider push, ordered by President Donald Trump last year, to offer businesses and individuals cheaper, leaner health insurance options that don't necessarily comply with the ACA's consumer protection rules. "This proposal is about empowering American workers to have more consumer-driven healthcare choices," Labor Secretary Alex Acosta said in a written statement when the rule was released. HRAs are tax-sheltered accounts funded and owned by employers that typically are offered to reimburse employees for out-of-pocket medical expenses. They currently receive a tax advantage only if they are coupled with an ACA-compliant group health plan. They cannot be used now to pay premiums for individual-market health insurance. Under the proposed rule, employers could provide an HRA that is integrated with individual health insurance coverage. There are provisions to prevent employers from steering workers or dependents with costly health conditions away from the employer group plan and toward individual coverage. Employers also could offer a different type of HRA, funded up to $1,800 a year, that could be used by employees to pay premiums for short-term plans that don't comply with ACA consumer protections. Employers could not offer the same employees the choice of either a traditional group plan or an HRA-funded individual-market plan. But they could offer a group plan to certain classes of employees, such as full-time workers under age 25, and an HRA plan to other classes, such as part-time employees. The administration estimates that the proposal would boost the number of insured Americans by about 800,000, and that most of the newly insured would be workers in firms that currently don't offer health benefits. But commenters had strong concerns about the potential impact on the individual insurance market, and they weren't necessarily convinced that the rule's provisions to protect against those effects were adequate. The American Academy of Actuaries cautioned that self-insured employers that have a greater share of less-healthy employees could be more likely than those with healthier employees to offer workers HRAs to go out and buy individual insurance. "The resulting adverse selection could worsen the (ACA) individual market risk pool and put upward pressure on individual market premiums," the group wrote. The Federation of American Hospitals expressed concern that the proposal would shift people out of the employer group market into the less stable individual market, which offers thinner benefits and less support for consumers. "While we applaud efforts to increase the stability and viability of coverage in the individual market for health insurance, we caution against policies that draw those individuals from insurance that is more comprehensive, affordable and administratively effective," the FAH wrote. Kaiser Permanente warned that the proposal would cause increased premiums and more uninsured Americans. That's partly because the complex administrative requirements of the HRA model could lead to employees who previously had employer coverage failing to obtain HRA reimbursement to buy an individual plan. Kaiser also cautioned against allowing employers to establish employee classes based on age. "Specifically, the under age 25 class may lead to steering younger and potentially lower-risk employees to a traditional group health plan, while sending older and potentially higher-risk employees to the individual market," the system said. In contrast, the conservative National Federation of Independent Business recommended going ahead with the rule minus one of its key protections against employers deliberately sending their sicker workers into the ACA individual markets. It argued that small employers should be able to give their workers a choice between a traditional group plan and getting an HRA to go out and buy individual insurance, even though other commenters noted that employers could structure that choice to essentially force sicker employees to opt for the ACA market. 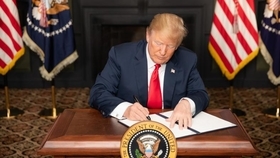 "Allowing employees to have that choice is consistent with achieving the President's objective of giving employees of small businesses more options for financing their healthcare," the NFIB wrote. The liberal Center on Budget and Policy Priorities said the proposal to let a special type of HRA be used to buy short-term plans could be challenged legally, because the ACA and the HIPAA law prohibit group plans from discriminating based on health status, as short-term plans are allowed to do.